Growing Borage may be the single best thing you do for your home and garden this year! 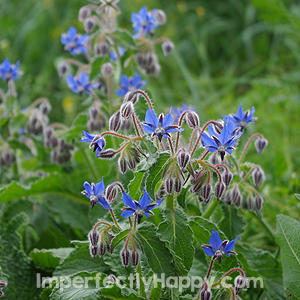 Growing Borage is fairly easy and it is a powerful herb for healing and companion planting. And if that isn’t reason enough, growing Borage adds a touch of whimsy and beauty to any garden. It never fails to attract friends and family that wander out to my garden. I want to show you how to grow Borage, without it taking over; and using it effectively for your home, health and garden. How to Grow Borage…wait what is Borage? Borage is an herbal plant with bright blue flowers. This Mediterranean native herb also sometimes called a starflower, bee bush or bee bread. It is used in medicinal purposes as well as many garden uses. 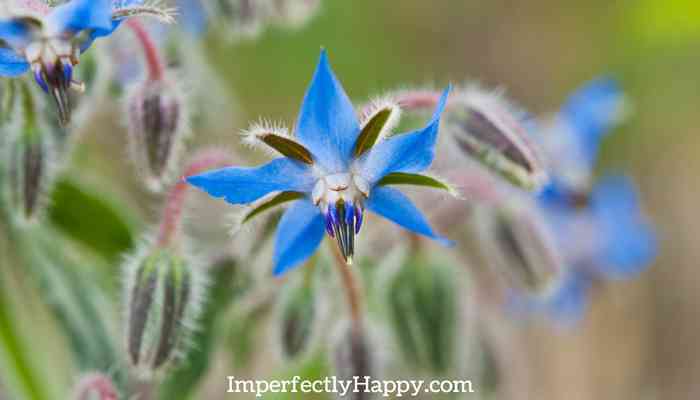 Not only is Borage a beautiful addition to your garden it has some muscle too. Borage is an excellent companion plant. It didn’t get the name bee bush for nothing…it will attract bees as well as other beneficial bugs. As gardeners we know how important pollinators are to our garden! It is known to repel tomato worms (aka the green devils) and cabbage moths as well. If that wasn’t enough, when planted with your squash it can improve their flavor. Cook the young Borage leaves like you would spinach or use them in your salads – they have a familiar cucumberish flavor. Freeze the flowers in ice cubes to use in your summer drinks. Borage has been used in medicinal purposes since, at least, the ancient Romans. The leaves, dried and infused like tea, can be relaxing and sedating; helping with sleep disorders and anxiety. As with any medicinal uses, check with a health care provider before using. A good herbalist can advise you on how to use Borage properly. I highly recommend learning how to use herbs medicinally with the Herbal Academy! It should be noted that the Borage plant contains elements that can damage the liver. This is not common because most people aren’t using Borage in their daily diet. But again, something to research before using it. Check out Web MD’s information on Borage. warm. Borage does not transplant easily so it is better to start it where you want it to end up. You can plant Borage in a pot but make sure to give it plenty of room from the get-go (remember transplanting is nearly impossible). 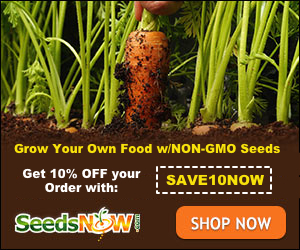 It also self-seeds and is considered easy to grow. You’ll want to choose a area in your garden that gets full sun, at least part of the day. Borage will grow in partial shade but it prefers the sunlight. Borage does well in poor soils; in fact it loves sandy soils. While Borage loves a regular watering, be careful not to over-water. Borage can handle drought conditions. As for harvesting your lovely blue flowers. I prefer to pull when the flowers are open but not faded. But I have heard a few people say that you should pull the flowers before the open to retain full potency and color. So dabble and see what you like best. It is best to start your Borage from seeds, I get my Borage seeds from Seeds Now! I know you’re going to love growing Borage in your garden, and the bees will thank you too! This is fantastic! Just sowed my first borage seeds last week – especially for the bees. I’m really eager to grow it now. Thanks for sharing! I tried growing borage for the first time this year and have been pleasantly surprised. The bees and other pollinators LOVE the flowers, I’ve eaten some of the leaves and flowers and will most certainly be growing it in the veggie and flower garden next year. Just found your blog via Pinterest and wanted to say Borage is also a great companion plant for strawberries. I have never tried that, but it doesn’t surprise me. Thanks for the tip! Yes, it can be so keep a close eye on it. Borage also effectively repels tomato worms if planted with your tomato plants. I started my borage from SEEDS NOW in the house. We have very long winters here in Upper MI. Before I transplanted it outside I put the pot outside where it only got a little early morning sun and then a lot more late afternoon sun. So it was in part shade. After a few weeks still hanging over the pot I finally moved it to my raised bed garden. Because it was so long and had other sets of leaves on the stem that almost looked like new plants I planted it sideways so I had like 3 plants. Thought after a week or so that it wouldn’t make it but it did and the main(top) of the plant is blooming while the others are small they are thriving too. Wonderful! I need to start some new borage myself. I would like to try borage, but I live in upstate NY( short growing season), and don’t want it to take over garden. Was wondering if planting in pots and setting pot next to tomatoes and squash plants? That way it can’t invade the garden, crazy idea??? Just wondered your thoughts. Definitely try it in pots – it can still be a deterrent.